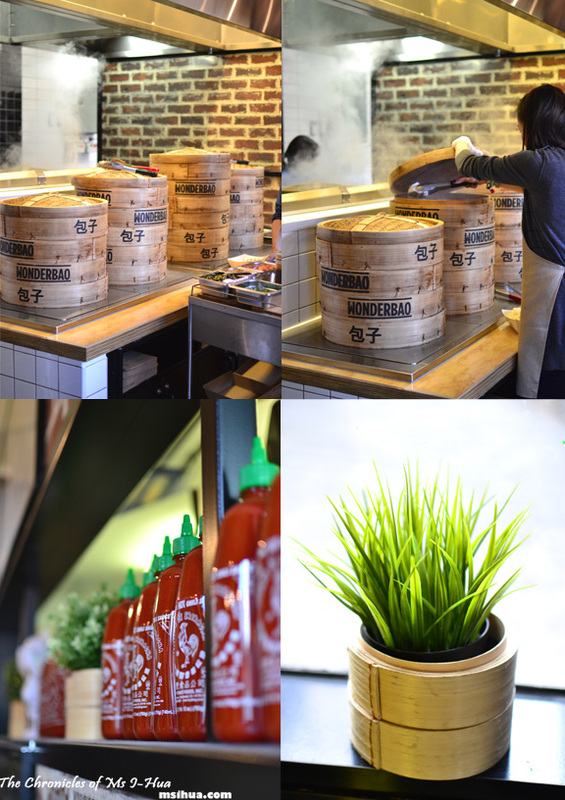 Wonderbao @ A’Beckett St, Melbourne CBD – Bao Now! The latest trend in Melbourne’s vibrant fast food culture seems to be with the humble bao (or pao) with not one but two shops springing up around Melbourne CBD. As with all things Melbourne, the more hidden it is (preferably off a graffiti filled laneway) the busier and more crowded it seems to be. We got a little confounded and lost in our hunt for the Wonderbao, but eventually we found it as we watched countless students and people who looked like uni staff walk into a building and not exit. Sensing a pattern, we followed suit. Not only is Wonderbao a teeny tiny shop selling fresh hot baos, it also has a constant queue at the cashier (mostly made up of various uni students, lecturers, tutors and lost foodies like us). The concept is pretty simple. 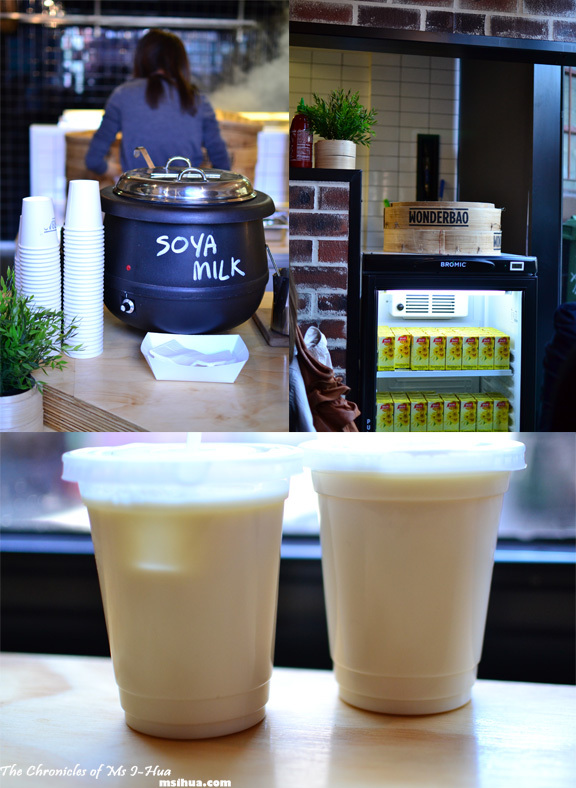 You line up, order a bao or two (savoury or sweet), have a home made soya bean milk (hot or cold) or a F.O.B. packet drink to eat in or take-away. What is a F.O.B. packet drink you may ask? Well, it’s usually teas, sugar cane, chrysanthemum drinks which are popular in most Asian countries. 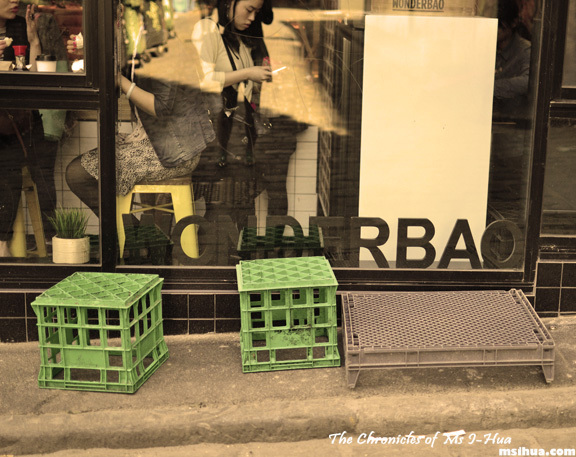 The eating in option may be a bit of a struggle as there is only one window facing bench, but there are alternate milk crate options situated at the laneway outside of Wonderbao. 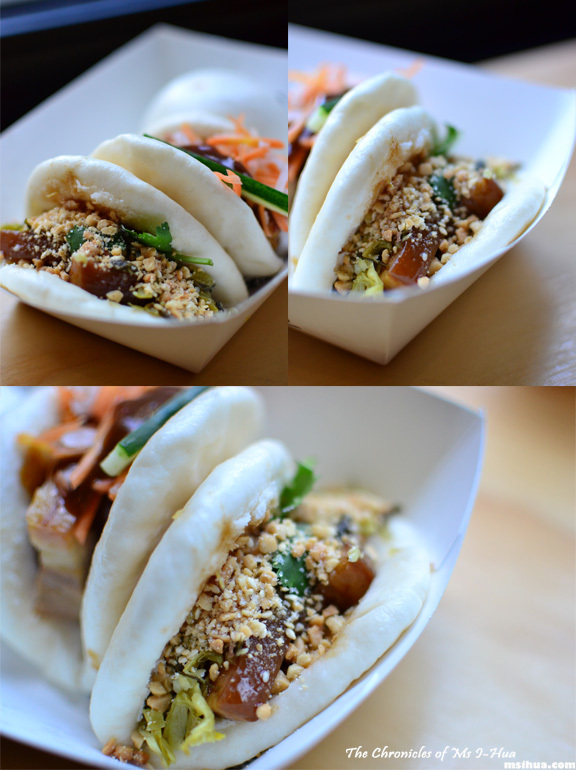 So he had the Roast Pork Belly Gua Bao ($3.80) – Roast pork belly with cucumbers, pickled carrots and daikon, and hoisin sauce. This, he liked a lot due to the hoisin sauce and melt-in-your-mouth pork belly. The next one was my choice and he was ‘encouraged’ to order it so that I could steal a bite 🙂 Braised Pork Belly Gua Bao ($3.80) – Braised pork belly with pickled mustard, coriander and crushed peanuts. He preferred the Roast Pork Belly more whilst I much preferred this option. I have no idea why this Taiwanese version of pork, pickled vegetables, and sweetened crushed peanut should work, but it’s so delicious and I couldn’t help but take a huge bite of it. When the Boy saw that there was Nai Wong Bao ($1.70) – Egg custard bao, on the menu, he had to order it. However he was slightly disappointed with the dryness of the bao as it wasn’t moist enough. 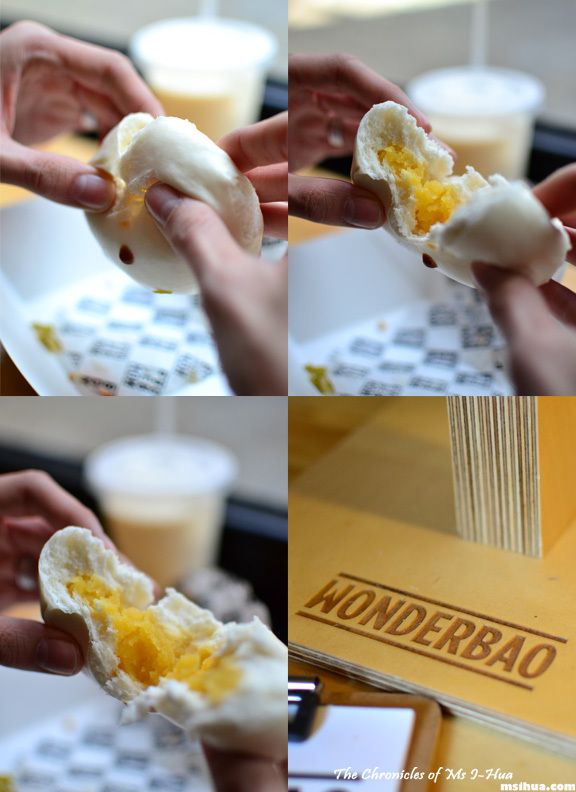 I really liked the concept of Wonderbao and have no misconception that it will be part of Melbourne’s laneway food culture for a long time to come. It’s quick, cheap, easy and most importantly, very conveniently and cleverly targeted to their market audience. I do want to return to try a lot of other things on the menu, but I need to return on a different lunch hour to that of the uni student. 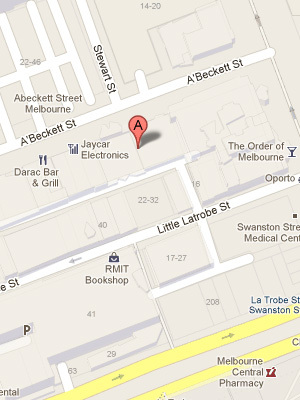 Probably head there on a weekday during the uni/summer holidays to avoid the long queue. Come Uni holidays I believe I will add ‘office worker’ to the list of people queuing for a taste! Hahaha I think you may be right! They need to make a peanut butter salted caramel-filled bao. Or nutella filled ones.. OMG! They have! ooh I still haven’t made it to Bao Now! 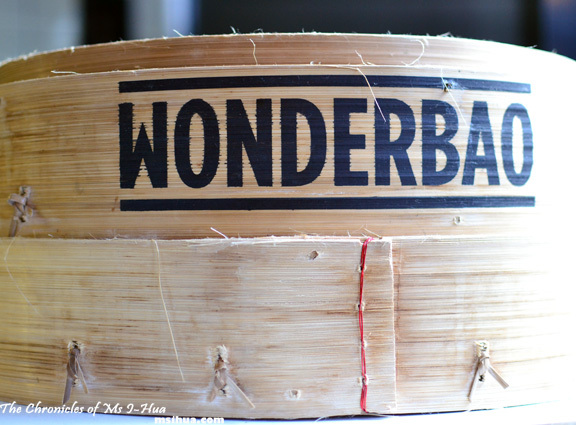 I remember walking past WonderBao (after a meal at Tarng) and laughing it off, thinking it’s probably going to be quite bastardised. Mmm need to return to try their char siew bao! Agree with Daisy! 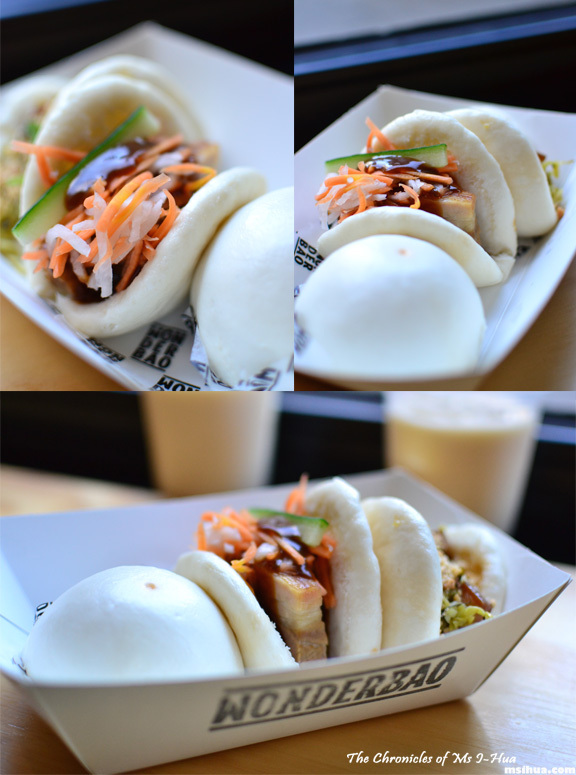 Melbourne’s going through a bao craze! 😛 Try the tofu gua bao next time!! hehe they’re pretty yummy! Tofu? Really? When there’s pork belly??? theragingcook recently posted…Recovery. Two Birds, One Stone. Hanoi Hannah. Such a cute idea, v keen to try!! It’s delish, quick and easy! I’ve seen this pop up on social media. totally want to visit it now! Oops! Yayy for mouth watering pictures! I can’t to go visit it. If only the nai wong was more moist.